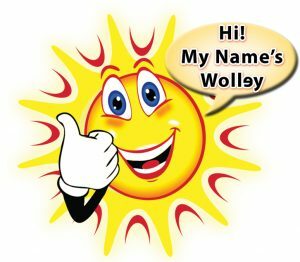 Hello fellow cruisers and a big thumbs up welcome from Wolley and all the family at Yellow Scooters cruise line rentals, your mobility rental port of call for all cruise ships and hotels in the Port Canaveral and Cocoa Beach area. The only cruise line mobility rental company to have researched tested and worked with the manufactures to develop and provide you with the best most suitable rental scooters for cruise ships ever. Yellow Scooters is one of the premier family owned mobility rental companies in the USA offering top quality service and equipment at reasonable prices with that home town local store personal experience. We were often bombarded with requests for scooters for use on the Cruise ships leaving Port Canaveral we had a go in the early years to provide a service from Orlando but due the distances involved from our office and the gas and toll costs it made supplying scooter rentals to Canaveral extremely expensive so we had to postpone the service… UNTIL NOW!!! But our dedication to serving your needs never wavered and now we are ready to serve you from our all-new, Port Canaveral local warehouse and dedicated staff ready, able and looking forward to serve all your cruise rental needs, at last. Yay!!! As with all Yellow Scooters locations Port Canaveral will be a locally operated family business. So in the Port Canaveral and Cocoa Beach area your go to folks for quality Yellow Scooters rentals will be husband and wife team John and Norita Long who will be taking care of your cruise line scooter rentals. Delivering the most up to date cruise ship compatible equipment money can buy, we will be Delivering Your Freedom to cruise the Seven Seas on one of our wonderful scooters. We will also be offering transportable scooters for use in the Canaveral and Cocoa Beech land based area plus a full range of wheelchair, walkers, power and lift chair options. 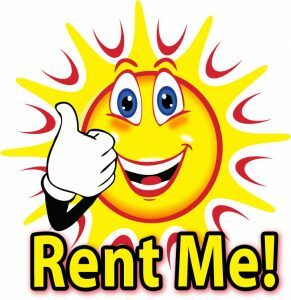 See our rental pages for our full range and rates. We didn't just pick the cheapest or the most popular scooters we used years of experience, trade and cruise line contacts, fellow cruisers, customers feedback and manufacture input to develop and modify what we believe to be the best mobility scooters for using on onboard the cruise ships. And it should go without saying, but I will say in anyway. Our scooters will also work superbly on land. Please we encourage all our customers to familiarize themselves with our delivery and Q& A pages and our booking terms. This will help us all and save a lot of time and confusion in the future. Thanks reading folks, see y'all real soon. We hope we can earn your business and look forward to serving you.